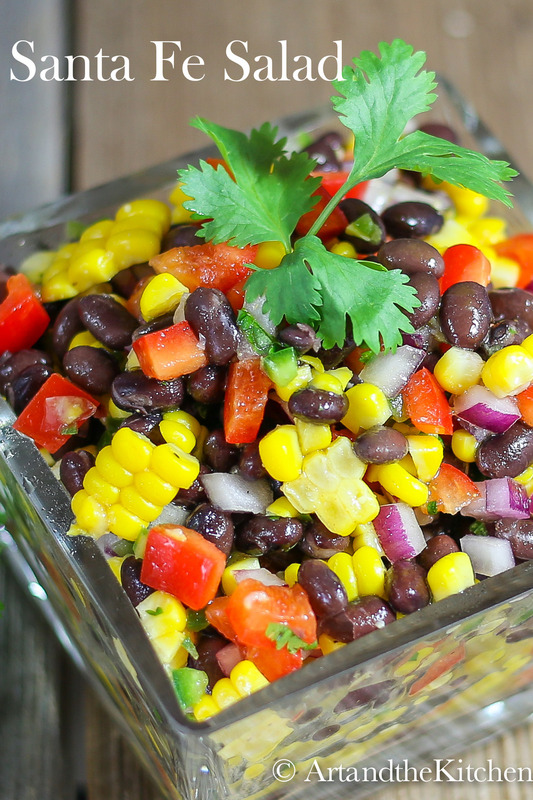 This recipe for Santa Fe Salad makes a perfect side dish or lunch meal. Crisp colourful veggies and beans tossed together in a dressing with some serious flavour from Jalapeño peppers, lime, cilantro and cumin! What a great summer it has been! The highlight of our summer was travelling to Quebec to watch our son compete in the Canada Summer Games. It is truly amazing to watch young people so dedicated to their sport. While many of their friends are enjoying the summer partying at the lake enjoying all kinds of food and drink, they are training hard, eating healthy, and getting to bed early. But once that final competition is done its time to enjoy the rest of the summer with backyard BBQ’s and parties at the lake! 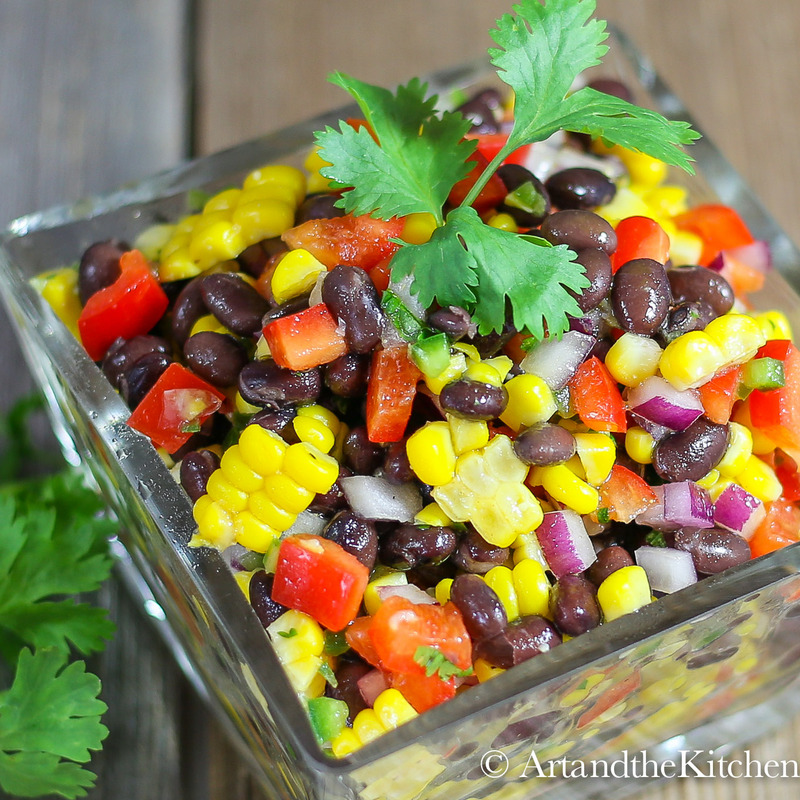 Santa Fe Salad is one of my favourite side dish recipes and gets rave reviews whenever I make it. 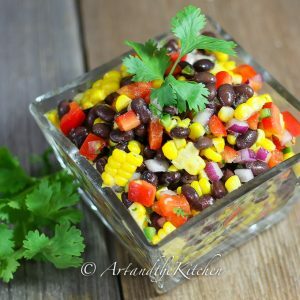 Healthy, colourful, and amazing flavor with the great combination of black beans and corn, tossed in a zesty cilantro lime dressing. 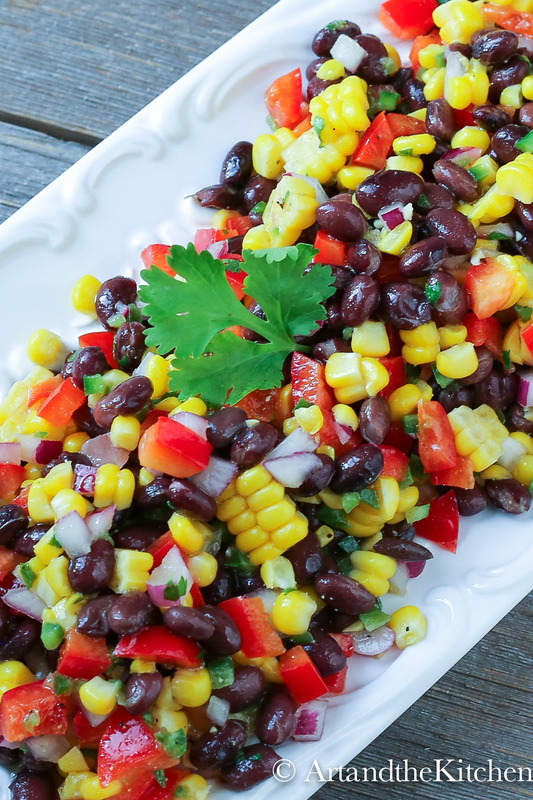 Crisp colourful veggies and beans are tossed together with some serious flavour from Jalapeño peppers, lime, cilantro and cumin! In small jar mix together oil and lime juice. Add cilantro, cumin, salt and pepper and shake well. Mix together black beans, red pepper, onion, corn and jalapeño pepper. Toss together dressing and salad ingredients. Looks Delicious and I will be making this. Looks so wonderful ! I am excited to try it. I love your presentation!!! Thanks so much!!!!! It is one of my favs! Pinned it! 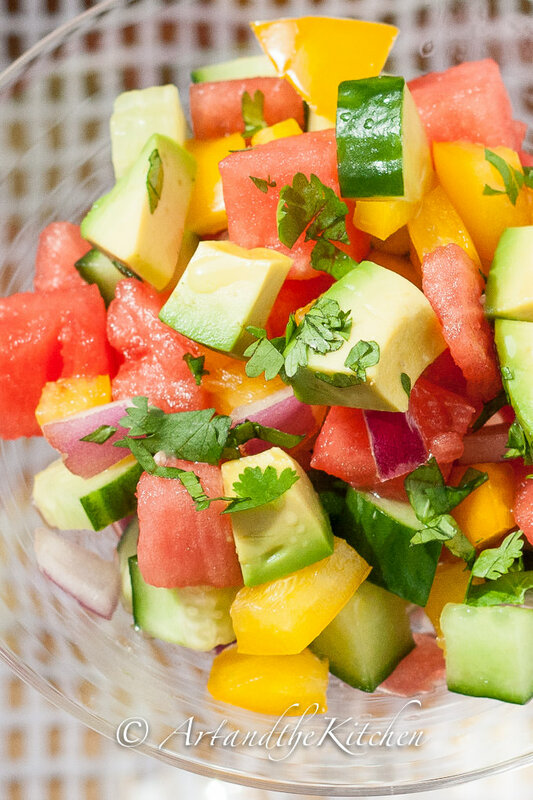 What a beautiful salad!